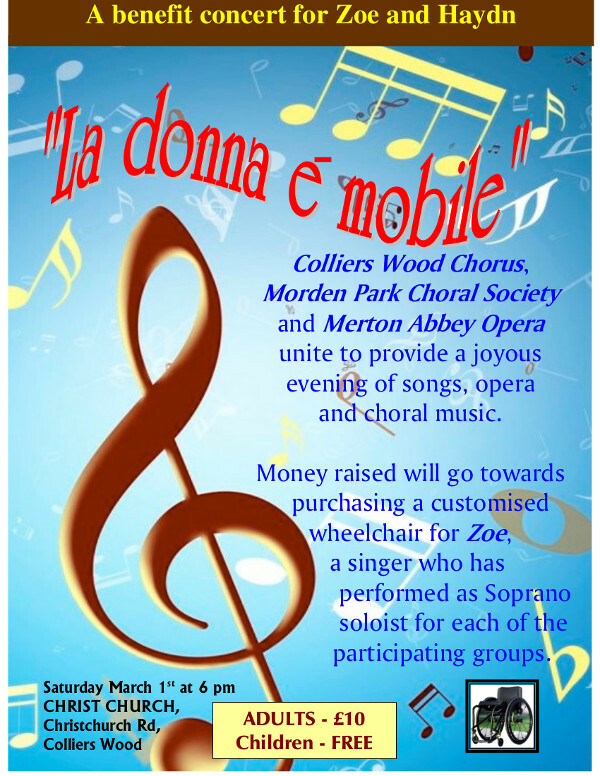 We are taking part in a concert to raise money for a new wheelchair and Freewheel ("4WD conversion") for Merton Abbey Opera's Zoe Watson. This event is part of the Colliers Wood Arts Festival. The Rutter songs are a preview of A Sprig of Thyme.